A full afternoon at Tortuga Island snorkeling and relaxing. 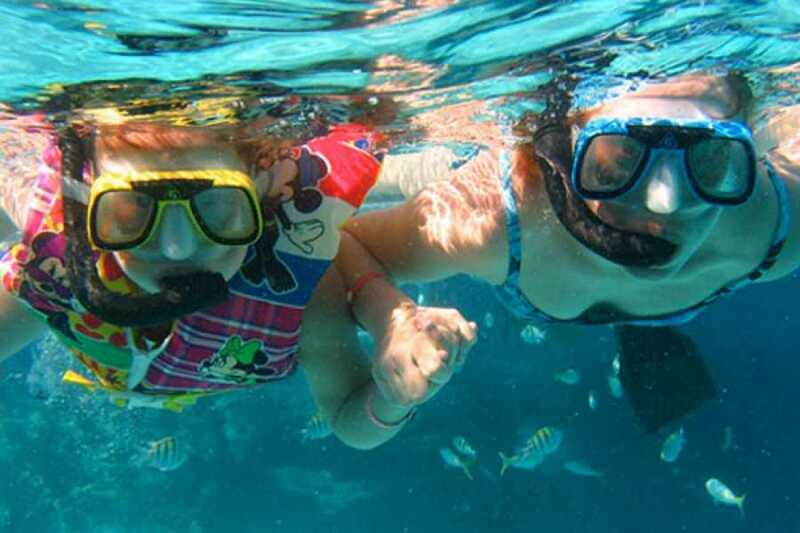 The volcanic rock reef is surrounded by crystalline that makes it an extraordinary snorkeling experience. Our captain will take you to the wonderful white sand beach of Tortuga Island where drinks and fruit will be waiting for you. For lunch our chef serves fresh BBQ fish, chicken, or veggies with delicious grilled potatoes and homemade bread. After lunch the afternoon will be yours to enjoy to hike, swim, rent a kayak, a banana boat, or take a siesta. 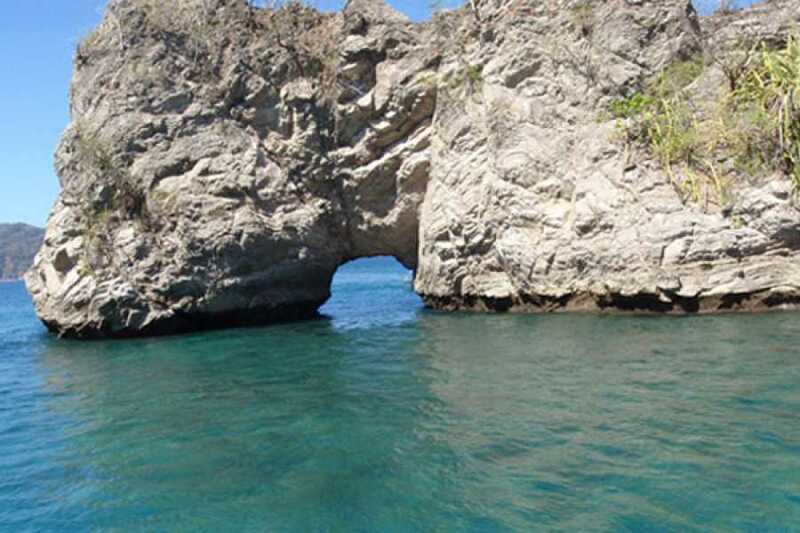 We will start the day by taking you on a 50 minute boat ride along the coast with breathtaking views of the Pacific Ocean on the right and the beautiful Nicoya peninsula mountain on the left. During the boat ride, most of the time, you will be able to see dolphins, manta rays, primitive turtles, or if you are lucky, you can even enjoy watching humpback & pilot whales. Once we get to the stunning Tortuga Island we will anchor our boat next to the best points for snorkeling. The volcanic rock reef is surrounded by crystalline waters and home of Angelfish, Porcupine fish, Morays, Needlefish, Spotted Eagle Rays, and many more tropical beauties that will make it an extraordinary snorkeling experience. And then as the day comes to an end, we will get back on the boat for a beautiful ride back to Montezuma.